Things once thought absolute about space have been turned on their head in recent years. It was once believed that the first stage of a rocket couldn’t return to the launch site. On Dec. 22, 2015, this was shown not to be so. At the close of the Shuttle era, another long-held line of thinking was also shown to be outmoded. Now, Dulles, Virginia-based Orbital ATK is working to expand efforts to have satellites be refueled and repaired while on orbit. As noted, SpaceX has changed the launch paradigm with the launches and landings of its highly successful Falcon 9 family of rockets. Missions launch at the rate of about once every two weeks and the company has begun reusing booster cores that have flown on prior missions. As was noted on Space.com, NASA’s Robotic Refueling Mission launched on July 8, 2011, aboard NASA’s Space Shuttle Atlantis on the final mission of the Shuttle Program, STS-135. That experiment was sent to the International Space Station and looked into ways in which spacecraft, which have had their “fuel tanks” sealed, might be refueled. The fuel these spacecraft were launched with was all that they were planned to have for their entire operational life. The RRM experiment asked a simple question: “What if it didn’t have to be this way?” Orbital ATK is now working to take the concept that was studied on the RMM (which was developed by NASA’s Goddard Space Flight Center) and take it into a different, and commercial, angle. 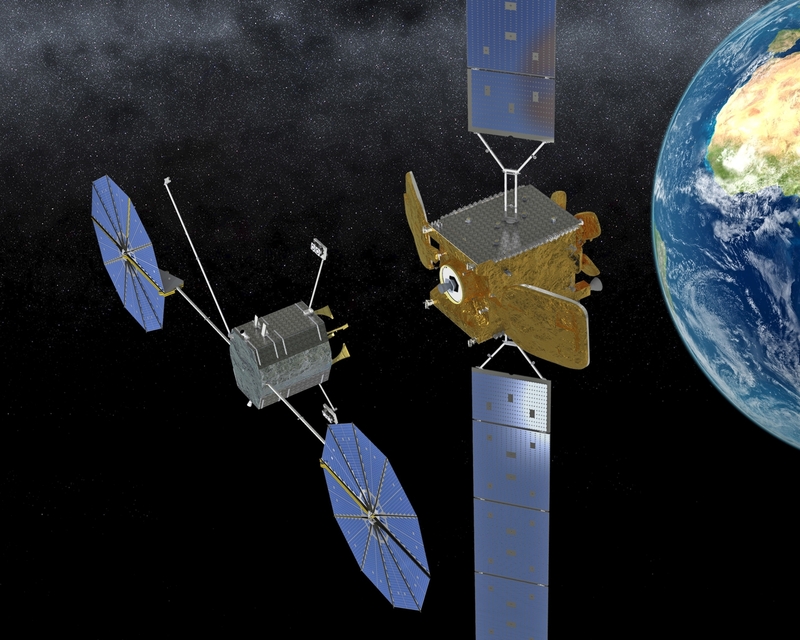 The Mission Extension Vehicle-1 (MEV-1) has been labeled by Orbital ATK as the “first commercial in-space satellite servicing system” and recently (earlier this year) completed its critical design review. An estimated 75 percent of the spacecraft’s payload components and platform have already been sent to Orbital ATK’s Satellite Manufacturing Facility located in Virginia. If everything continues to go as planned, system level testing should begin in spring of 2018, with the launch taking place later that year. MEV-1 will not be flying solo, but it will instead travel with the Eutelsat 5WB satellite, which was also constructed by Orbital ATK. The duo is slated to launch from the Baikonur Cosmodrome atop an International Launch Services Proton Breeze-M rocket. 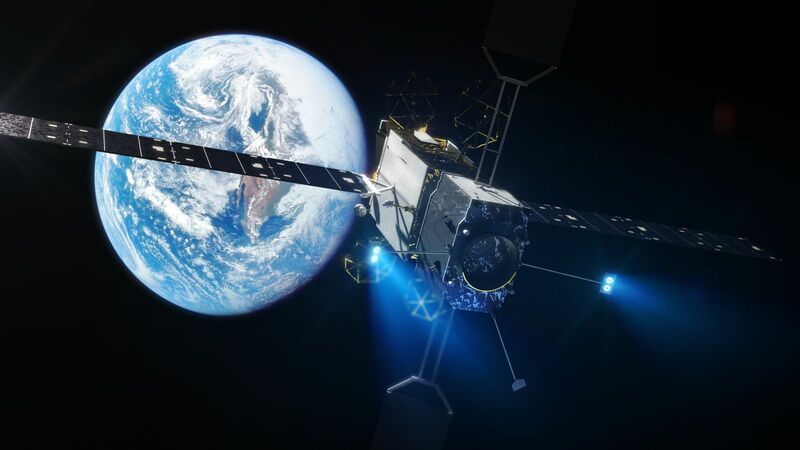 Once it has been checked out and is operational, it is hoped that the spacecraft will be able to provide life-extending services to Intelsat S.A. as early as 2019. MEV-1 will utilize a docking system that attaches to features on the exterior of other spacecraft. Different than RRM, which looked at ways of refueling existing spacecraft, MEV-1 will endeavor to expand the operational life of spacecraft by taking over their orbital maintenance as well as attitude control functions. MEV-1 is based on Orbital ATK’s GEOStar spacecraft platform and the satellite was built at various facilities that the company operates. If everything on board the spacecraft functions as planned, MEV-1 will perform an array of dockings and repositionings during its planned 15-year design life. Essentially, when the needs of one customer are met, the MEV-1 spacecraft would undock and move on to another assignment. The MEV provides a 15-year design life and carries enough fuel to grant more than 15 years of station keeping “life” while docked with the average 4,409-pound (2,000 kg) geosynchronous satellite. Orbital ATK has big plans that include a fleet of on-orbit spacecraft which would provide these services to older satellites. This could also see a decrease in spacecraft that are launched annually, as spacecraft could see their operational lives extended well past what was originally planned. When one considers the growing threat of space-based debris, this new method of operation has obvious benefits. While having someone stop by with a spare tank of gas is nice, sometimes your car breaks down and you need a repair. Orbital ATK is looking to address this issue, along with in-space transportation services as well.